It’s finally here! Pandora-World of Avatar is FINALLY open at Animal Kingdom Park in Walt Disneyworld, and it is every bit as awesome as we all hoped it would be. When Disney announced the opening date for Pandora I somehow convinced my husband to take a trip with me to check it out. We aren’t crazy obsessed with the movie, but we do like it and have watched it a couple times. Honestly, I was more excited about something new opening at Animal Kingdom Park than the fact that it was Pandora-World of Avatar. I planned for us to visit Animal Kingdom early on May 26th hoping Disney would do a soft opening for Pandora. They have been known to do this in the past so I was hoping we would get lucky. I planned right! 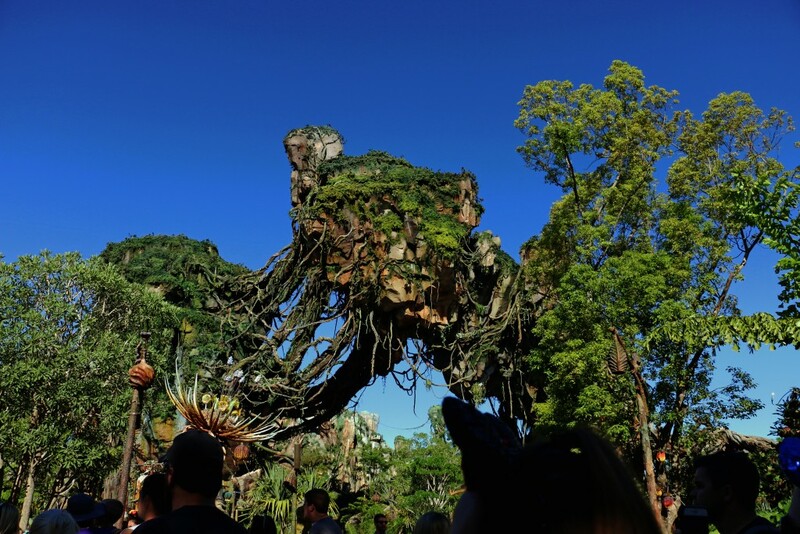 We were so excited when the park opened and the walkway to Pandora was open! There were cast members were there waving for people to come in and videoing everyone. It was pretty cool! My first impression was just WOW!! The mountains are huge! There is so much to look at and everything is so pretty. The colors are bright. 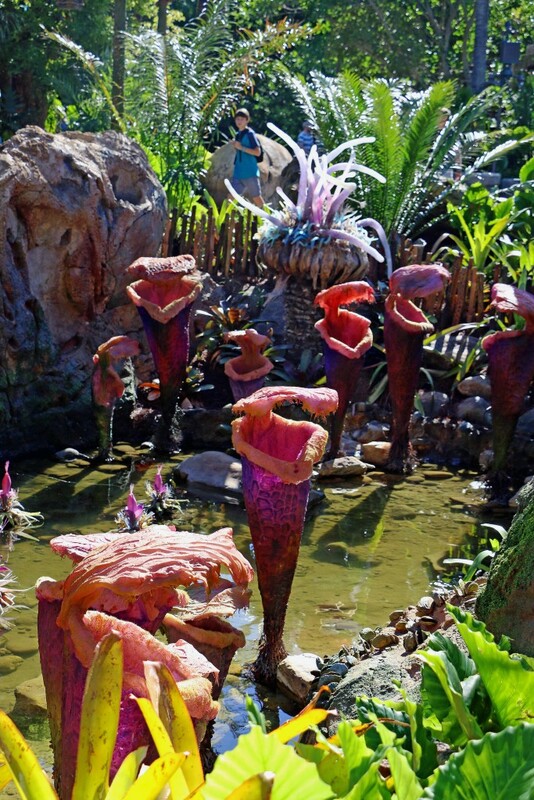 The sounds that can be heard throughout Pandora are very exotic. I kept thinking some little critter was going to jump out! We headed straight for Na’vi River Journey. We got on so fast I didn’t really get to take pictures of the ride que, but it is just as detailed as everything else. The Na’vi River Journey is a boat ride through the Pandora jungle so there were all kinds of glowing plants and wild-looking animals. At one point I looked up and there were these huge leaves and you could see the silhouette of frog-looking things on them. I half thought something was going to jump on me! The Shaman is just amazing. The movements look very fluid and life-like. We did not get to ride Avatar Flight of Passage. By the time we rode Na’vi River Journey and checked out some of the Valley of Mo’ara it was time for our breakfast reservation at Tusker House. I knew we had a Fastpass for it on our last night, so I didn’t worry too much about it. Well, the last night of our trip storms came in and we didn’t make it back to Animal Kingdom so we missed out on the ride and seeing Pandora-World of Avatar at night! 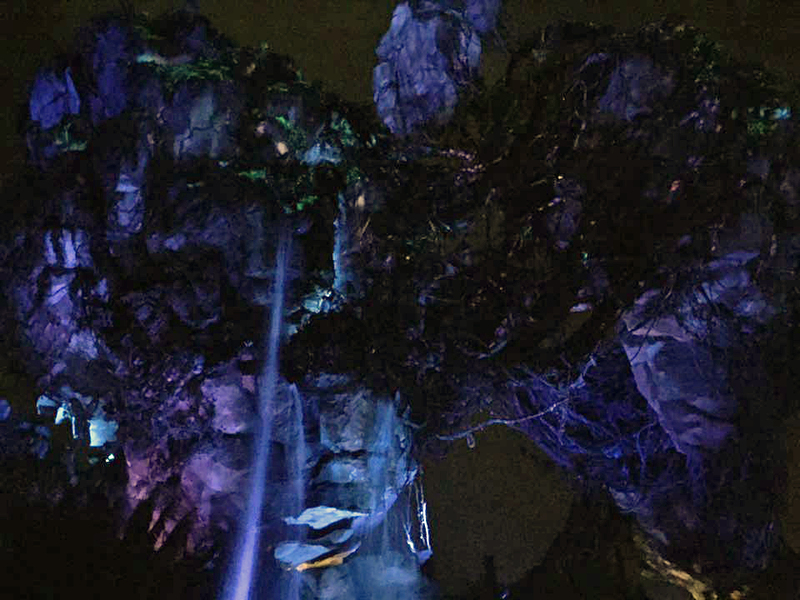 I was a little bummed because I wanted to see Pandora at night, but to be honest, I was scared to death to ride Avatar Flight of Passage. Plus, now I have an excuse for another trip soon! My clients who did ride it have told me it is very intense and very immersive. You can feel the banshee breathing under you! Windtraders is the store located in Pandora. They have several different Pandora-themed items like shirts, photo frames etc. 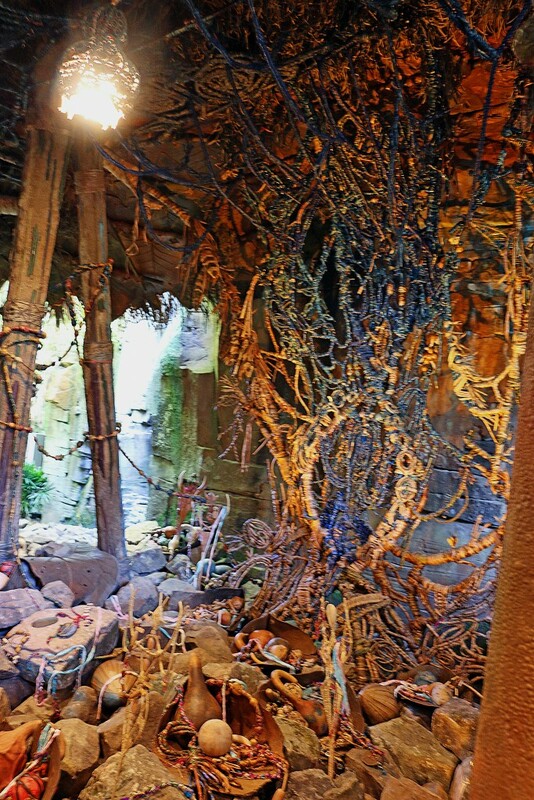 The Rookery is located inside Windtraders and is where a cast member will help you connect with a mountain banshee of your own. I saw a lot of people walking around the parks with a banshee sitting on their shoulder. Satu Li Canteen is the quick-service dining location in Pandora serving breakfast, lunch and dinner. We didn’t get to try it out this trip. I was a little worried about the menu choices since I am such a picky eater. It did smell really good when we walked by and it was packed with people. There were a few Photopass locations in Pandora. I’m sure there were more that we missed but I am happy with the photos we did get. Here are a few of those…. 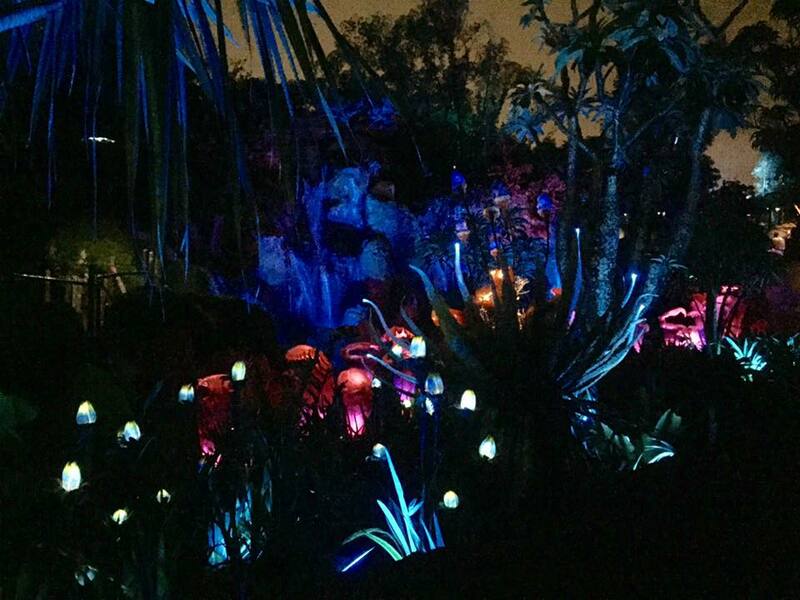 Pandora is bioluminescent at night. My clients that have already visited said it is very, very dark once the sun goes down. The pictures I have seen are absolutely beautiful. Since I didn’t get to see it at night, one of my agents, Courtney James, sent me some pictures she took with her phone. 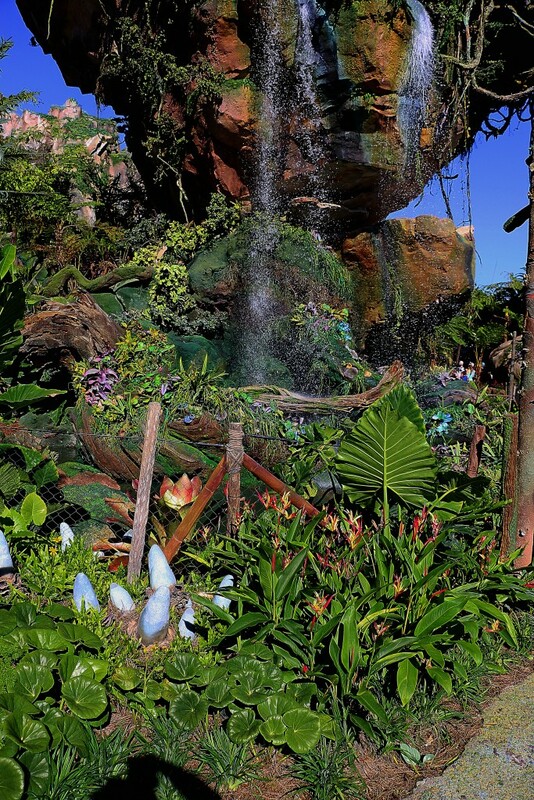 Pandora is one of the most beautiful lands of all the parks at Disneyworld. I knew it would be popular, but I could not believe that on opening day there was a six hour wait just to get into Pandora. I checked wait times throughout our trip and wait times were consistently four hours for longer for both rides. I’m sure it will take quite a while for the wait times to shorten. Are you ready to plan your trip to Pandora? 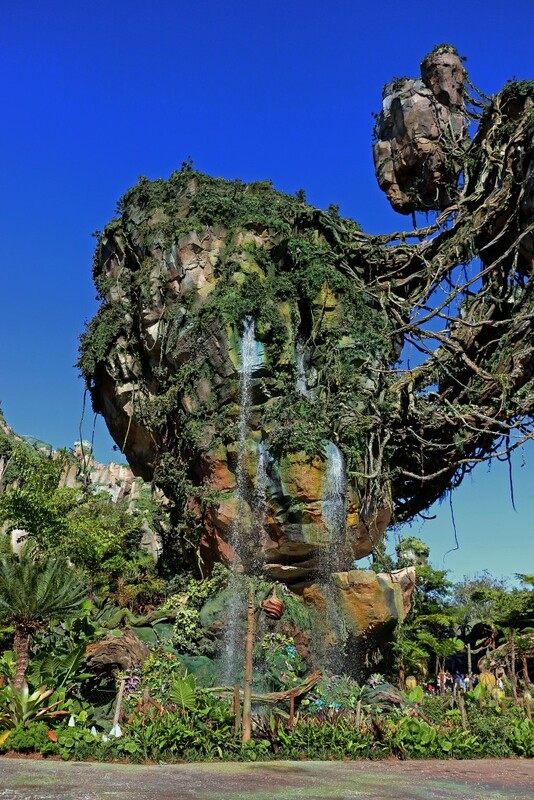 Want to know more about Pandora-World of Avatar or Disneyworld in general? You can click here to request more information. Sign up below to join our newsletter list to stay updated on all things Disney!